You can check the estimated ink levels from the printer control panel, printer software or the embedded Web server (EWS). Ink level warnings and indicators provide estimates for planning purposes only. When you receive a low-ink warning message, consider having a replacement cartridge available to avoid possible printing delays. You do not have to replace the cartridges until the print quality is unacceptable. – From the Home screen, press the Setup button (wrench icon). – Using the buttons on the right, select Ink Information, and then select Estimated Ink Levels. 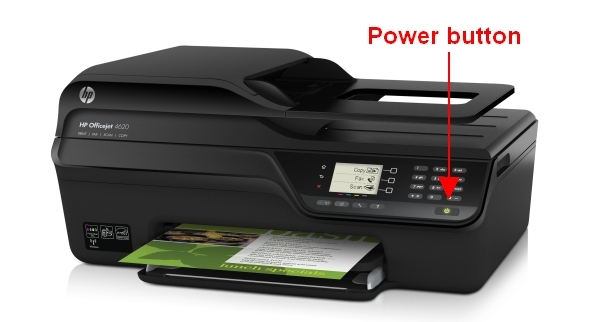 Which ink cartridges do I need for my HP Officejet 4620 e-All-in-One series printer? For your US HP Officejet 4620 e-All-in-One series printer you need HP 564 Black and HP 564 Cyan/Magenta/Yellow cartridges. 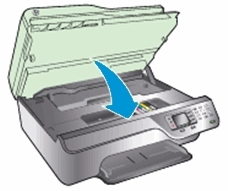 For your European or UK HP Officejet 4620 e-All-in-One series printer you need HP 364 cartridges. Locate the two slots on the sides of the printer. Place your fingers in the slots, and then lift to open the ink cartridge access door. The carriage moves into the carriage access area. Wait until the carriage is idle and silent before you proceed. 6. 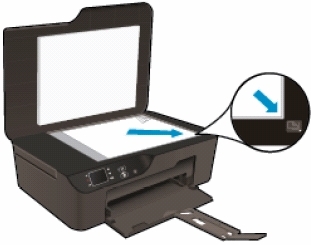 Hold the ink cartridge so that the ink cartridge contacts are facing down and toward the printer. Match the colored dot on the ink cartridge with the dot of the same color on the carriage. 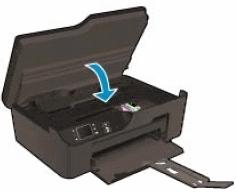 Slide the new ink cartridge into its slot, and then gently press the ink cartridge down until it clicks into place and is seated firmly in the slot. 7. 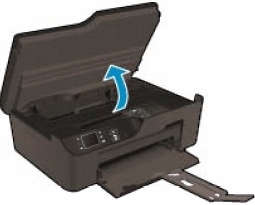 Repeat step 3 to 6 for each ink cartridge you are replacing. 8. Close the cartridge access door. The printer automatically aligns the printhead during the initial setup. However, you might want to use this feature for print quality issues in printouts where straight lines look wavy or jagged. 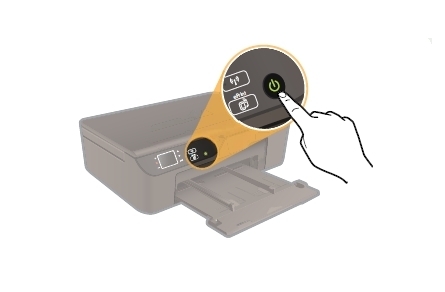 You can align the printhead from the printer’s control panel, from the Toolbox (Windows) or HP Utility (OS X) and from the embedded web server (EWS). 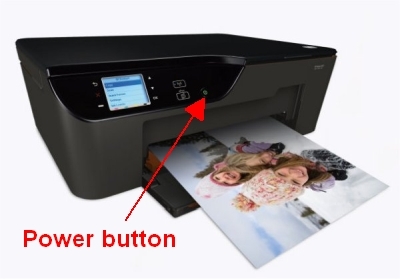 Which ink cartridges do I need for my HP Deskjet 3522 e-All-in-One series printer? For your US HP Deskjet 3522 e-All-in-One series printer you need HP 564 Black and HP 564 Cyan/Magenta/Yellow cartridges. 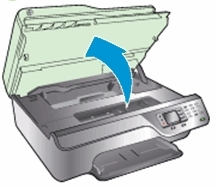 For your European or UK HP Deskjet 3522 e-All-in-One series printer you need HP 364 cartridges. 1. 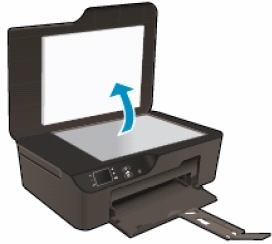 Before you install the ink cartridges, load the paper tray with plain white letter or A4-sized paper. 2. Check that power is on. If the product is off, press the Power button to turn on the product. Wait until the product is idle and silent before continuing. 7. 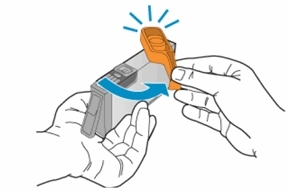 With the nozzle and the contacts facing down, push the cartridge into its slot. Press down on the cartridge until it is firmly seated. Make sure that the color icon on the cartridge label matches the color icon on the slot.